Pam is a Licensed Professional Counselor Supervisor (North Carolina) and a Registered Play Therapist Supervisor for the Association of Play Therapy. She received her M.A. in Counseling Ministries from Wheaton College (2002) and her Ph.D. in Counselor Education and Supervision from Regent University (2012). Previously serving twenty-two years as a missionary in Thailand, Pam provides clinical consultation to missionary organizations and offers online supervision to counselors working in remote, overseas locations where counseling resources are not available. She has a keen interest in cross-cultural populations and has a first-hand understanding of the unique contribution that counselors an can make to families serving cross-culturally. 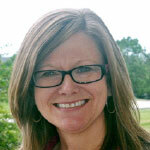 Pam is passionate about research in the areas of missionary care, missionary resilience, and third culture kids. When not working, she enjoys kayaking on Lake Wylie, hiking, and experiencing almost anything new.